An app called PayTollo uses the GPS technology in a cellphone to pinpoint location and when a driver is on a toll road. Paytollo began testing the technology in June 2016 on Central Florida toll roads. The app has processed nearly 4,000 toll transaction in the last six months. That amounts to 40 to 50 transactions a day, Channel 9’s Racquel Asa reported. That is a small amount compared to the thousands of transactions processed by the Central Florida Expressway Authority. Eyewitness News asked the company how it plans to make sure driver’s aren’t overbilled. The company has been working with the Central Florida Expressway Authority in matching license plates with their GPS tracking to make sure drivers aren't paying more than they should. “That's where the back-up is with the agencies with their plate imaging processing,” said PayTollo CEO Abenezer Yohalashet. 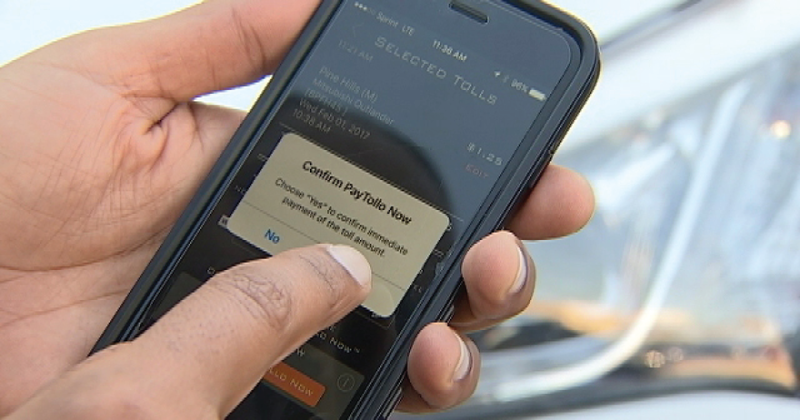 PayTollo told Eyewitness News that they're trying to get functional throughout the country. PayTollo will not work in express lanes, like the ones already on Interstate 95 in Miami and the ones being built on Interstate 4, because of their fluctuating rates based on traffic.